Dinosaur Perpetually Crushed.. and other stuff too! So.. new content came out this week, as per usual we leisurely strolled in with all guns blazing and managed to secure another server #1. 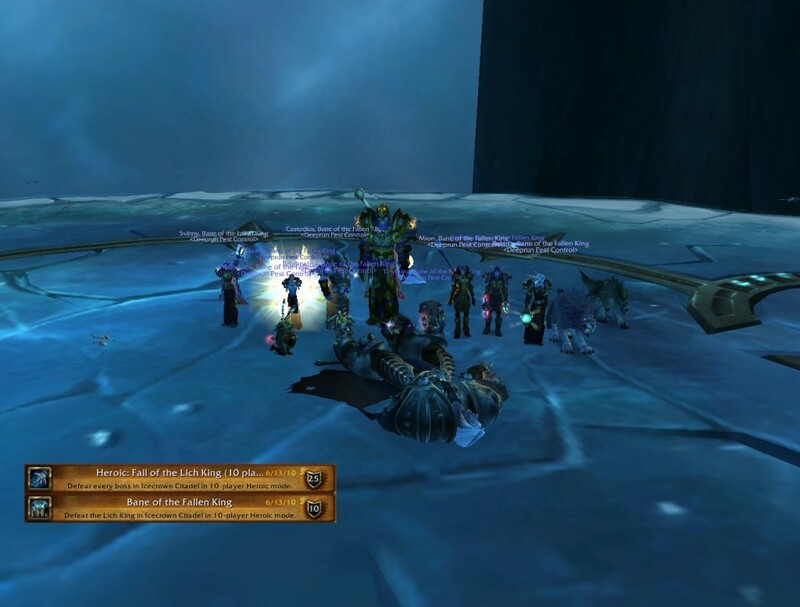 10 man Halion heroic proved to be little in the way of challenging, aside from a few nasty bugs /swat. The 25 man version will probably be a different story however! In other news since our last update all those months ago, our 25 man team has been cracking down hard in ICC 25. We are now putting solid nights into Lich King heroic and hopefully soon over the coming weeks, will be able to secure a kill. We <3 infest. Annnnd! 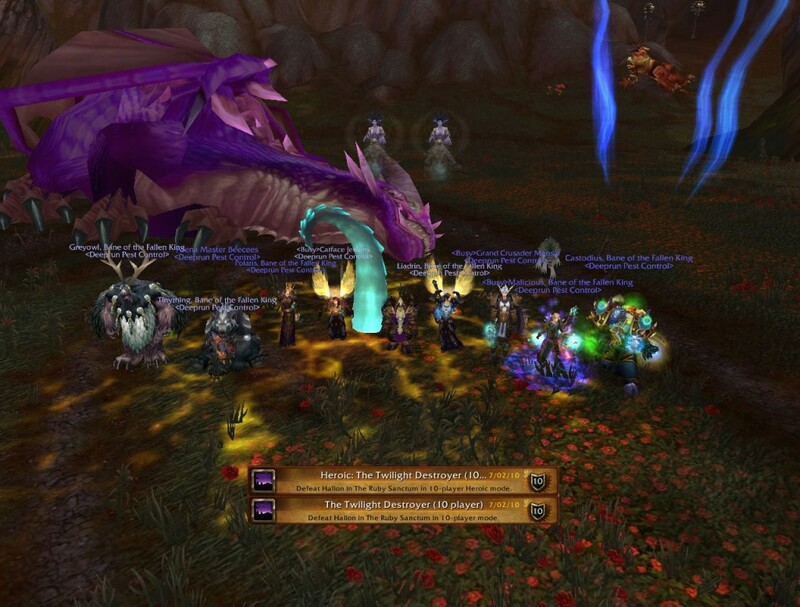 On top of all that.. we managed to finish two Shadowmournes, much to our tanks delight. SALV ME PLEASE. Unfortunatly the bearers of such weapons were unavailable to be photographed. Trust me, its for the best.